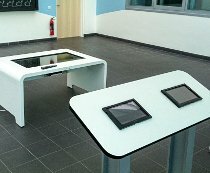 Three Bespoke Interactive Software packages for use on an Interactive Table and Two Interactive Screens. 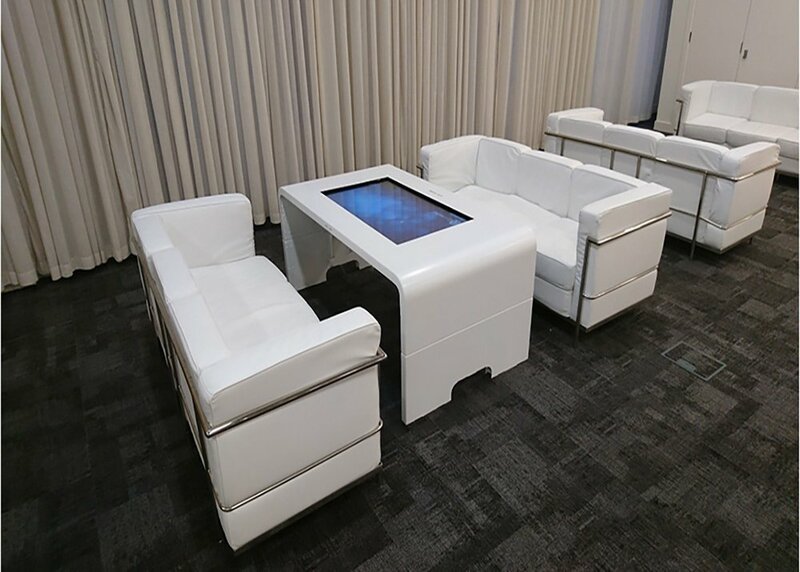 3×3 Interactive Video Wall and height adjustable, Uno Elite, projected capacative table. 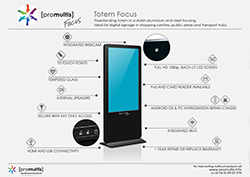 Branded Totems with bespoke digital signage software for information on facilities. 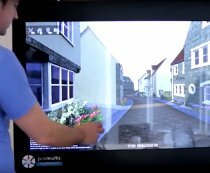 3D environments viewed through the VR headset with animated navigation carousel. 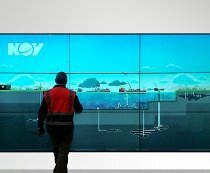 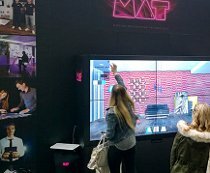 Amazing 3×4 interactive video wall with multiple setups for University. 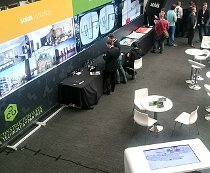 Rented 3×3 video wall and Uno Elite touch table for Exhibition in London. 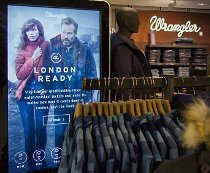 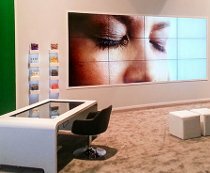 Promultis designed and constructed a 2 x 2 Video Wall for Visitor centre in London. 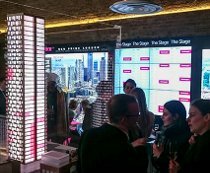 Promultis designed and constructed 6 x 1 Video Wall fixed to a tall column with bespoke digital signage solution. 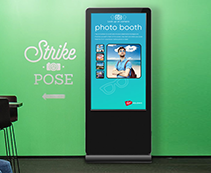 A photobooth application on the Totem and entertainment applications on Promultis touch screens in a customer lounge. 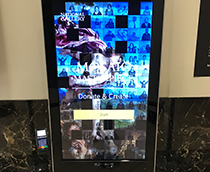 Interactive Totem Focus with camera and payment terminal for National Gallery with a Promultis bespoke application. 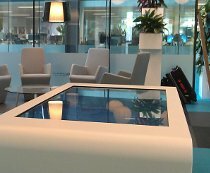 From a simple line drawing our designers produced this sleek bespoke design and installed it in a company boardroom. 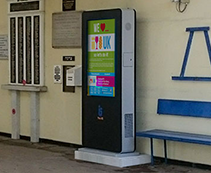 The Jockey Club purchased four Promultis Totem 3 as information points in the Epson Downs Racecourse Pavilion. 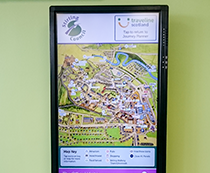 A 43” Lightning touch screen including journey planner and interactive tourist map developed by Promultis. 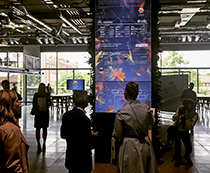 Complete interactive solution at The Stage EC2 with visitor’s apartment registration shown on Promultis video wall and model. 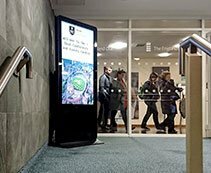 A Promultis freestanding kiosk in the foyer as an information point for University students, academics and visitors. 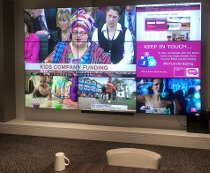 Promultis 3×3 video wall designed, built and installed into Crowne Plaza hotel with streaming satellite TV software. 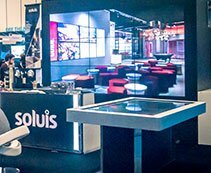 Installation of spectacular 20 screen video wall at London Show for Soluis Interact along with Promultis touch table. 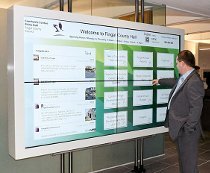 Promultis installed a 2×2 touch video wall and large drop-in touch screen into Fingal County Council’s new Atrium. 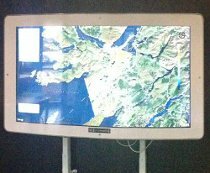 A 3×3 touch video wall installed by Promultis on exhibition stand in Aberdeen for the All In House company. 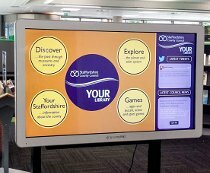 Stafford Library refurbishment with a number of Promultis touch screens, 65” Vari-tilt, Totem and x-table for children’s area. 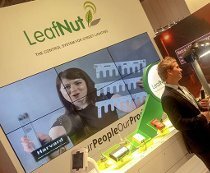 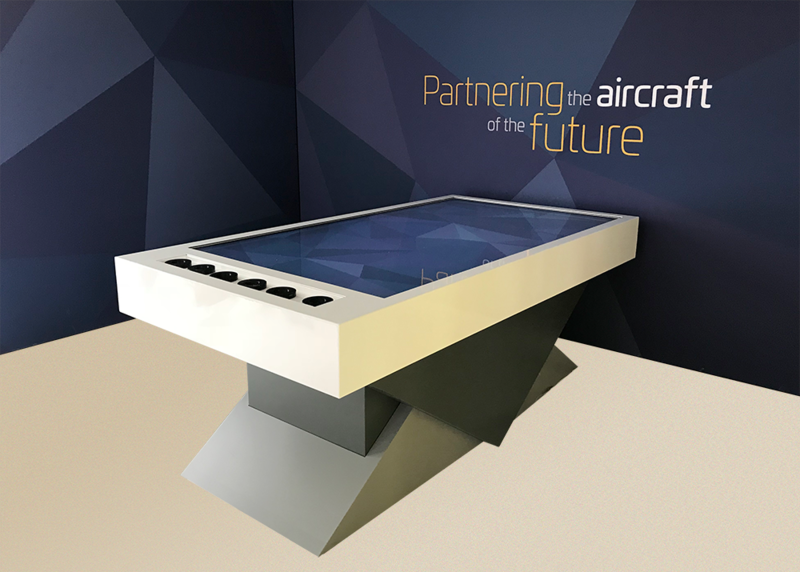 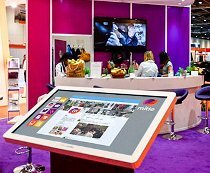 Promultis supplied a touch screen for an exhibition stand with an interactive presentation using the clients imagery. 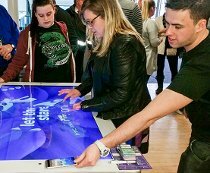 Networking event at Thorpe Park with Promultis 84″ touch screen with interactive map and two multi touch tables with games. 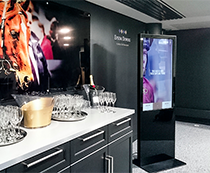 Complete hardware and software solution in London marketing suite for launch of off-plan apartments sales. 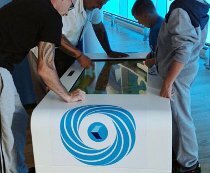 Promultis Uno touch table with bespoke puzzle game software for training events in a number of call centres. 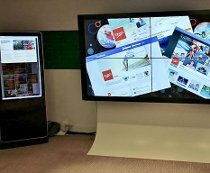 Development of bespoke software for two Promultis 2×3 video walls and two 43” multitouch screens on exhibition stand. 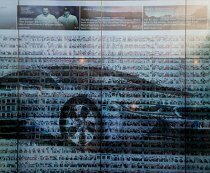 Photo booth and video wall with generated photo mosaic software for BMW at Ryder Cup pavilion in Glenegles, Scotland. 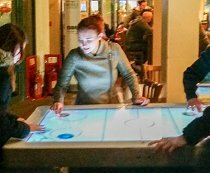 Three Promultis Uno tables installed in the Coffee Shack with reskinned Snowflake software featuring event theme. 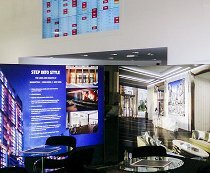 Two eye catching information kiosks from Promultis and a video wall at Speedo exhibition at GLH hotel in London. 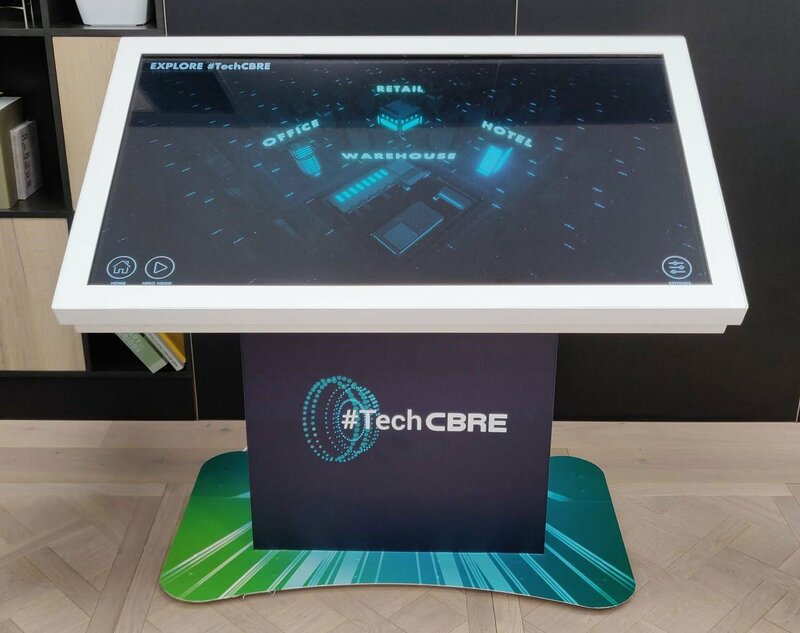 Motion Advertising Technology showcased their technology through multi touch table, touch video walls and kiosk. 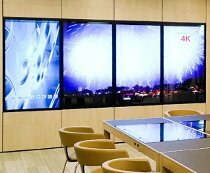 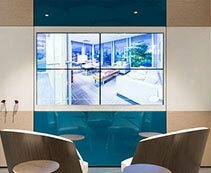 Givaudan stand with Promultis touch and non-touch video walls with gesture activated software solution. 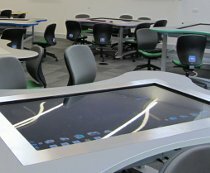 Custom designed ‘butterfly-shaped’ collaborative, multi touch tables for group work in University Exploration Lab. 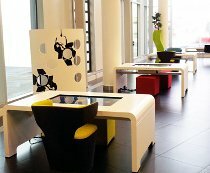 Media City, Salford ‘The Egg’ suite with ten Promultis touch tables as permanent feature in this flexible space. 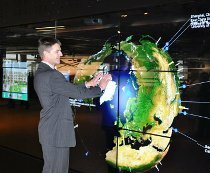 Bespoke multi touch solution integrated with a large touch video wall installed in the Saltire Centre, Glasgow. 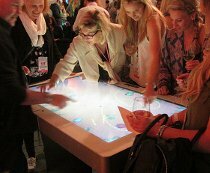 Sky Zone has interactive floor projection, two Promultis touch screen tables and provides entertainment for children. 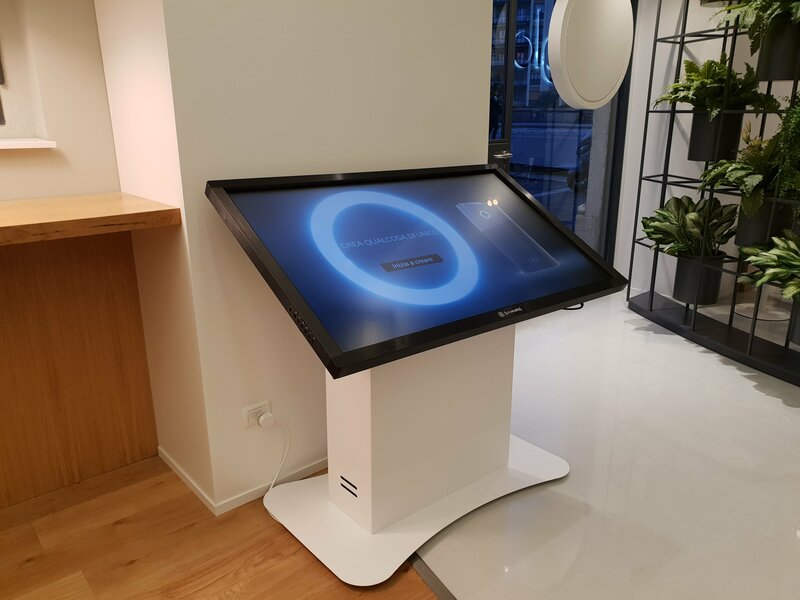 The Skyscanner reception area equipped with a Promultis 65” multi touch table. 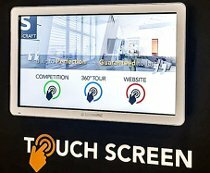 A Promultis touch screen installed for Bloor Homes featuring the Soluis demo reel video. 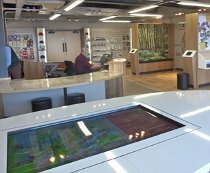 Custom build multitouch tables located in Lynmouth Pavilion at Exmoor National Park Centre. 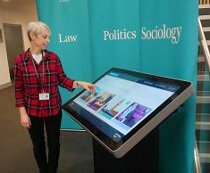 Promultis installed two 47” Vari-tilt tables for the National Library of Wales. 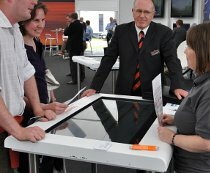 Customised Snowflake suite on two Promultis touch tables at Openfield Cereal show. 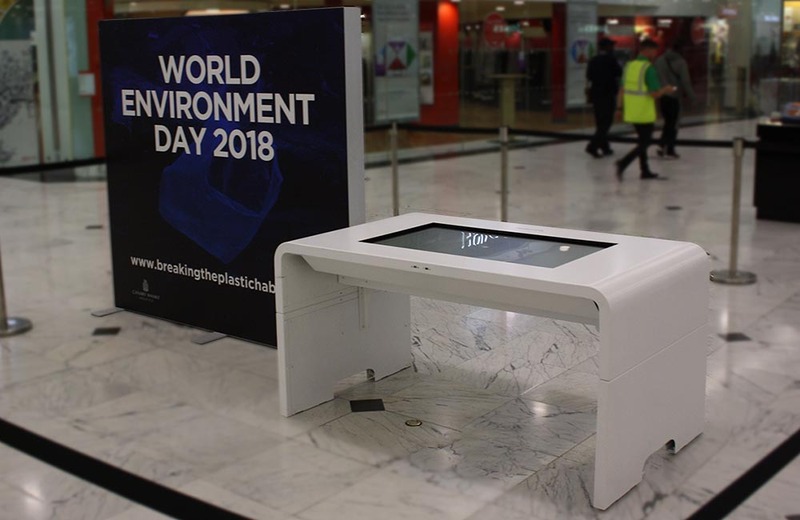 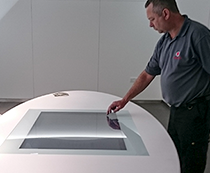 For Veolia Environmental Solutions was supplied bespoke kiosk and touch tables.